Sesame seeds add a mild, nutty flavour to dishes, especially when they are toasted. Middle Eastern and Asian recipes often include sesame seeds for flavor and texture. Other culinary uses of sesame seeds include sesame cooking oil, tahini (a paste made from the seeds) the spead hummus and the Turkish confection halvah. 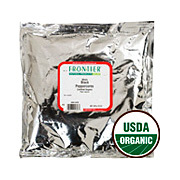 Sesame Seed Hulled Organic is shipped in a discrete, unmarked package. Orders are processed immediately and usually take about 3 to 5 working days to be received. We do ask that you try it for 2 to 3 weeks to feel the full effects. Any information received is used only for order processing and shipping purposes. Your information, such as e-mail address, will never be disclosed to a third party.